Starry Night is fourth in a series of Classics decorator model horses. This glossy, celestial blue mare twinkles like the stars above. 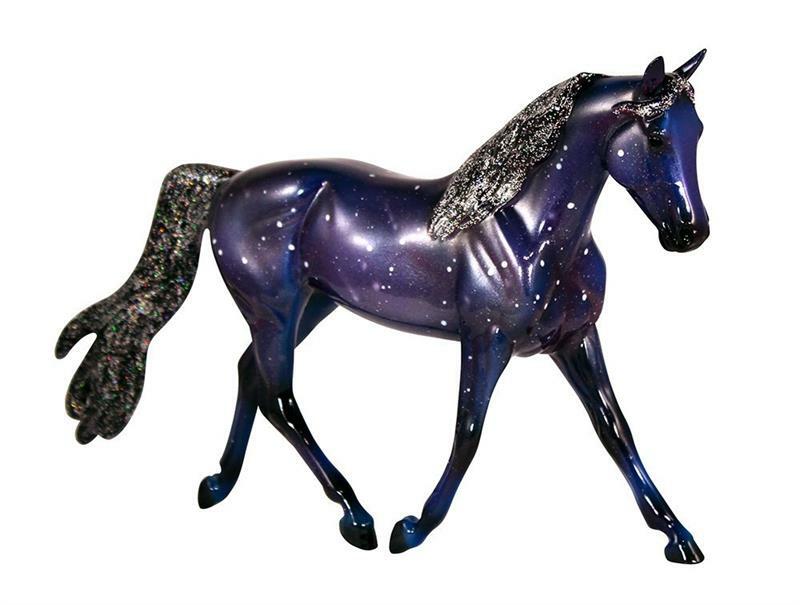 Her mane and tail glitter with stardust and she has all the constellations of the Milky Way across her sides! If you look closely, you might even see a shooting star! 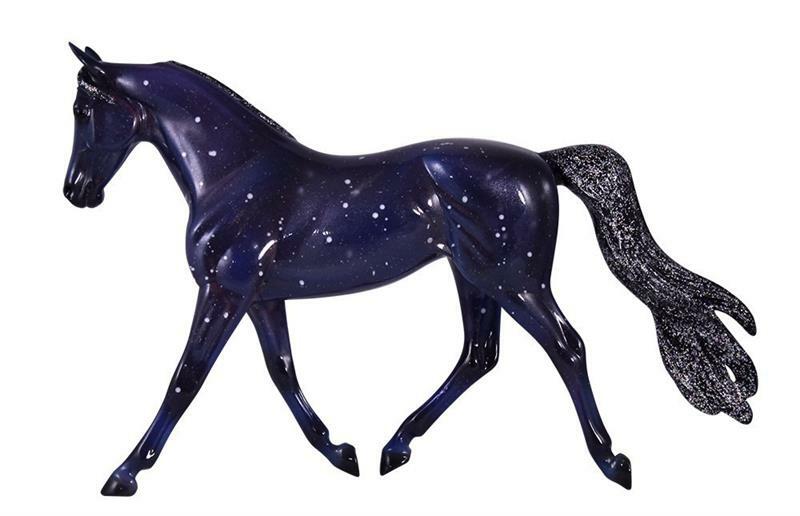 Starry Night is destined to be the star of your stable. 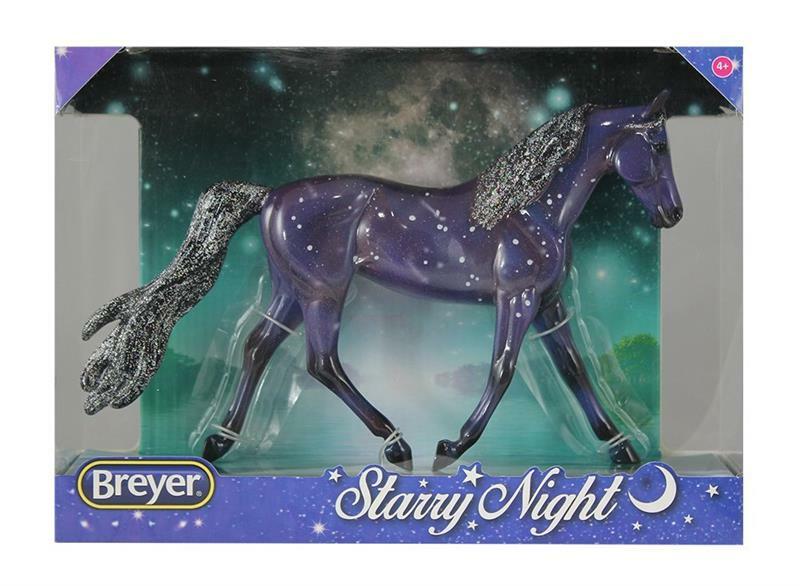 Breyer's Starry Night is made from the Morgan Mare Mold. The Morgan Mare was introduced in 2007 and has the round "Â© Breyer Reeves" mold stamp. 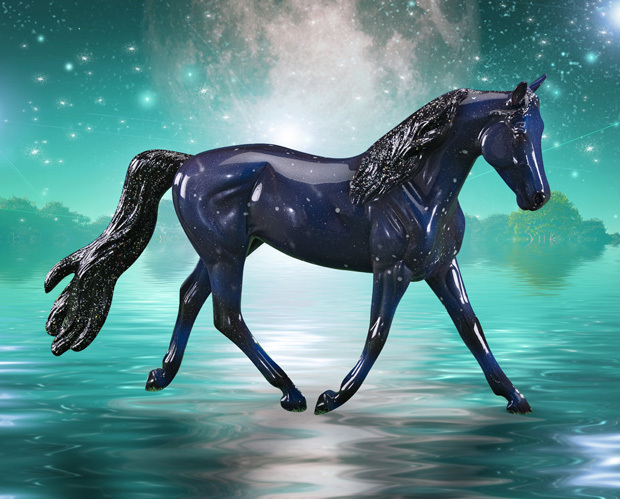 It was sculpted by Sommer Prosser and is Breyer mold #633.